Paris attacks suspect Salah Abdeslam has been jailed for 20 years over a shoot-out with police in Belgium. The 27-year-old was convicted of attempted murder with a terrorist connection alongside an accomplice over the gun battle. He is allegedly among the only surviving members of an Isis cell that murdered 130 victims in Paris in 2015, fleeing to his hometown of Brussels. Four months later, police investigating a terrorist safe house in the city were met with a hail of gunfire and killed one militant, before finding Abdeslam’s fingerprints and other clues that led them to a hideout nearby. Officers had originally been hunting two brothers who launched the Brussels attacks days later, and weapons and an Isis flag were found at the scene. Abdeslam was charged with opening fire on police in the gun battle and with involvement in the Paris attacks, and has been imprisoned in northern France. He attended the opening day of his trial in February but later refused to answer questions. Court president Luc Hennart said he and accomplice Sofiane Ayari, who admitted fighting for Isis in Syria, chose not to attend the reading of the verdict and sentencing. It is unclear when Abdeslam will face trial over the Paris attacks, while several other suspected terrorists have been imprisoned for links with the massacres and bombings in Brussels. ​Abdeslam became the world’s most wanted terrorist when he allegedly fled Isis’ massacres on 13 November 2015, calling friends to drive him back to Belgium after his own brother blew himself up at a restaurant. The precise role of Abdeslam, a former small-time criminal who helped run his brother’s bar in Molenbeek, is unclear but he is suspected of helping manufacture explosives, hiring cars, renting hideouts and transporting jihadists. Investigators believe he drove three suicide bombers to the Stade de France before travelling to the 18th arrondissement and abandoning the hire car in Place Albert Kahn. Isis’ initial claim of responsibility listed an attack in the district that never materialised, and a suicide vest later found in a bin in Montrouge fuelled speculation that Abdeslam had violated orders and fled. He passed through police checkpoints unhindered and disappeared with the suspected help of accomplices linked to the criminal underworld, where he was formerly known as a drug dealer and thief. The trail went cold until March 2016, when Belgian and French police stormed what they believed was an empty terrorist safe house in the Brussels district of Forest. But they were met by a hail of bullets and Algerian Isis militant Mohamed Belkaid was shot dead as two suspects fled across surrounding rooftops. A search of the flat resulted in the recovery of Abdeslam’s fingerprints on a glass, convincing authorities that he was still in Brussels, and the renewed search led police to his hideout just metres from his former home in Molenbeek. Four days after his capture, Isis militants linked to the Paris cell launched the Brussels attacks, killing 32 victims in bombings at the city’s airport and a metro station. Abdeslam denied prior knowledge of the atrocities but investigators have suggested the perpetrators may have been rattled by his arrest and struck early. Mohamed Abrini, a childhood friend who was filmed with him at a petrol station two days before the Paris attacks, was among the bombers but failed to detonate his device and went on the run. He became known as “the man in the hat” after footage showed him fleeing Brussels airport, and was arrested in the Belgian capital weeks later. The complex web of connections between the terrorists behind the Paris and Brussels attacks has led to analysts dubbing the group a “supercell”, who had been dispatched by Isis commanders in Syria with specific roles drawing on their criminal past. Paris attacks ringleader Abdelhamid Abaaoud, Abdeslam and his brother Ibrahim were all involved in crime in the Brussels suburb of Molenbeek – with Abdelhamid and Abdeslam jailed together in 2010. 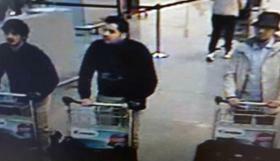 Abdeslam was also known to be friends with Najim Laachraoui, the bomb-maker for the Paris and Brussels attacks, who blew himself up at Brussels Airport after travelling to Hungary with Abdeslam and Belkaid in September 2015. The raided flat where Abdeslam and Ayari hid in Rue du Dries, Forest, had been rented by Brussels metro bomber Khalid El Bakraoui, who also procured another flat in Charleroi that was used as a rendezvous ahead of the Paris attacks. The property contained DNA traces of both Abdeslam brothers, Stade de France bomber Bilal Hadfi, Abaaoud and Chakib Akrouh, who both died during a raid by Paris police five days after the attacks.